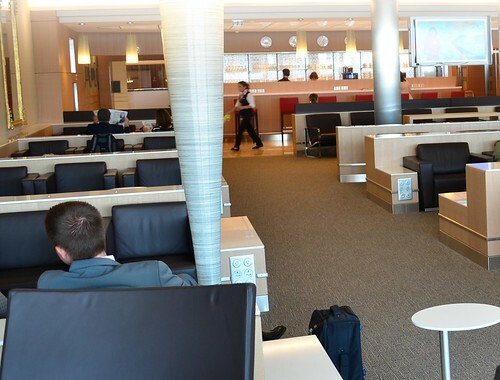 After several months of renovation, the Admirals Club at Paris CDG reopened a few weeks ago. 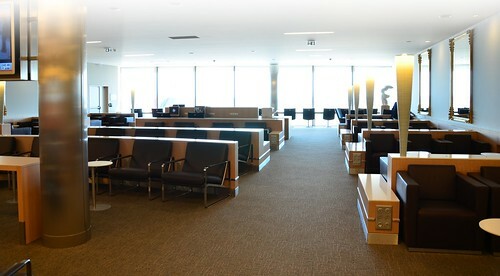 Located at the Terminal 2 connector building between 2A and 2C the new club is is 6,400 sq. ft. with seating for 128 guests. The new Club’s open floor plan includes a cyber café, business center and TV area, and features a modern design that follows American’s new brand look. 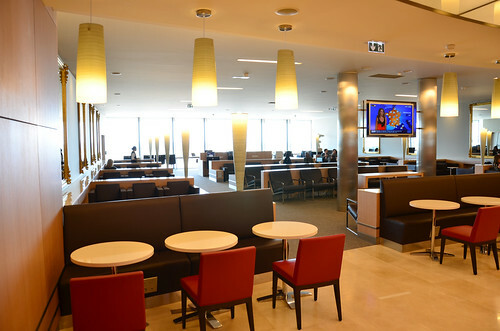 If you’ve been to a domestic Admirals Club recently, then you’ve probably noticed the expanded complimentary snack selections and the self-serve coffee machine that makes lattes, espressos, and cappuccinos. The new Paris lounge offers all this and more with freshly-prepared hot and cold foods such as homemade soups, entrees, salads and desserts. Perhaps the coolest feature of the new club is the new touch-down viewing area which is supposed to offer great views of the runway! I haven’t been to the new club yet, but I’m looking forward to it! Have you been? How’s the view? 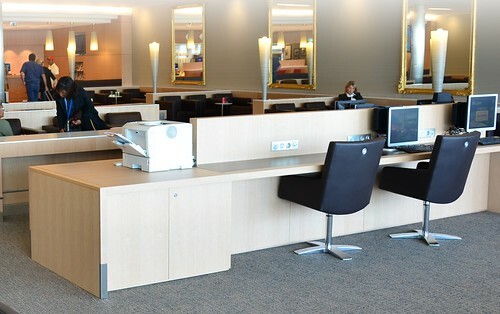 When do people take these pictures of empty lounges? Only once have I been in an empty lounge, more often they are about half full. This club looks like it got a great update and the viewing area sounds pretty cool. I’d love to hear more about the updated snack selection. My last lounge visit was at JFK in late September and the offerings were pretty lame as I’ve come to expect. This looks great. Can’t wait to visit in the near future. Visited the lounge a week ago. Actually spent about four hours there during a pretty long connection. It’s a whole new floor with four lounges. The AC is great. Good looking and comfortable. Big enough, but not too big – and feels ‘open’ compared to most AC in the US. The food was excellent and refreshed hourly I think. The views are ok. Not great, but there are seats right by the windows facing the runway…. pretty good if you don’t mind the sun. Given the other options in CDG, and the fact that this whole airport is a bit of a mess, the new AC it a blessing. Question: Is it accessible for arriving AA passengers? We are not connecting but arriving too early to go into Paris (6:45 AM). Can we clear customs and reach the AC with our luggage? @ Don Pizza – Sorry, the club is located in the departures area inside the secure zone. Hope you have a great trip! !